HTC DLX Benchmarks Revealed, Should Samsung Galaxy Note 2 Be Worried? 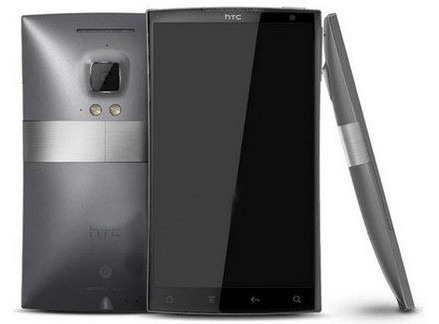 HTC is rumored to be working on a new phablet that will go toe-to-toe with the Samsung Galaxy Note 2 — the HTC DLX, a device that just could be end up being the next superphone fans will be pining after. We shared the leaked specs yesterdayand while we weren’t completely impressed, one reader has pointed out that the HTC DLX benchmark results are out, prompting us to dig a little deeper and see if we dismissed the HTC’s phablet too soon. Football4PDA claims that the HTC DLX will come with a 5″ 1080p Full HD display, a quad-core 1.5 GHz Snapdragon processor, 1.5 GB RAM, 16 GB storage, a 12 MP/2 MP rear and front camera, 2500 mAh non-removable battery and will be running the latest version of Android Jelly Bean out of the box. Those specs by itself sound mighty impressive but the problem we noted is that the current phablet champ, the Samsung Galaxy Note 2, overall looks like a better deal. But let’s take a look at the benchmarkresults and see how these devices stack-up against each other. 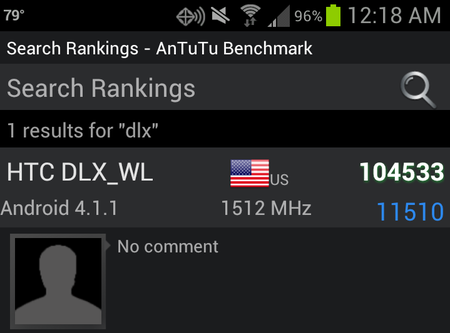 According to the popular benchmarking app AnTuTu, the HTC DLX received an impressive score of 11510. If the rumors are true that the device is headed to Verizon, possibly as the HTC Droid Incredible X, it would be the first phone in Big Red’s line-up that have reached those level scores and the first to pack Snapdragon S4 pro chipset. However, while those scores are indeed something to brag about, it’s worth noting that the Samsung Galaxy S3 has scores in the 12000 range and the Samsung Galaxy Note 2 is in the 13000 range. So does this mean both Samsung Galaxy devices are better? Well, not exactly. The AnTuTu benchmarking scores are not necessarily reflective of real-world performance. Also, the HTC DLX is still in development so these scores could change once we get the device’s final version. Still, a score in the 11000 range proves that HTC’s phablet packs quite a wallop. Are you looking forward to the HTC DLX? Will it be able to hold its own against the Samsung Galaxy Note 2? Discuss in the comments below!